I've been making a lot of smoothies lately, and I've learned one really important thing - while some mornings all my body craves is fruit, other mornings I just want peanut butter. And that's pretty much everything I've ever learned about smoothies. This smoothie tastes like peanut butter and honey goodness, and it's made nice and think by the oats and cashew milk. And it's beyond easy to make, and you likely have all the ingredients on hand. All things YES. 1.) Add all ingredients into your blender (but start with either water or milk to allow for easier blending). Blend for 15-25 seconds or until everything is blended. 2.) 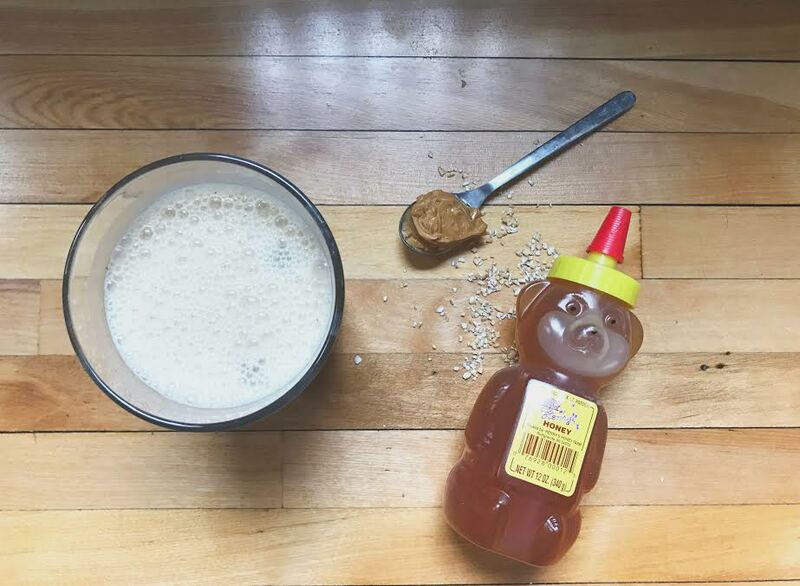 Pour into a glass and top with additional honey (optional). Enjoy!